Looking into ways of increasing your work efficiency? Have you ever considered your document flow as a major field for improvement? We’re talking about switching to electronic signing. The times of scanning, printing, mailing, and faxing documents are passing away. To stay abreast of time, a company should think about its digital efficiency: being wired, connected, and paperless. Imagine the amount of time saved when you get rid of the tedious routine of having dozens of documents signed every day. Ready to take the leap towards higher productivity with e-signing? If you’ve already given thought to electronic signatures, but are still in doubt, we are here to help. We’ve summarized the most frequently asked questions about e-signing to fill in some blank spots about the topic. Let’s get started! 1. 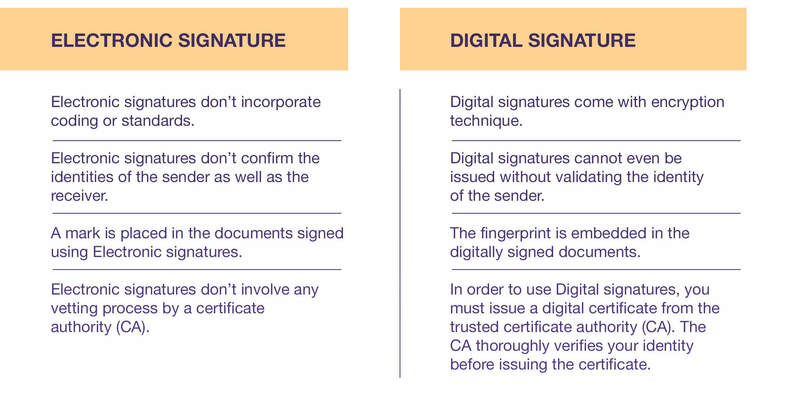 What is the difference between an electronic and a digital signature? A lot of us often confuse the terms “e-signature” and “digital signature”. However, the two differ in the processes in which they are generated and validated, along with their specific legal ramifications. An electronic signature, as defined by the eIDAS (electronic IDentification, Authentication and trust Services) regulation, refers to “data in electronic form, which is attached to or logically associated with other data in electronic form and which is used by the signatory to sign”. It has the same legal status as a handwritten signature. Besides, it doesn’t take much time. If anything, eSignature can actually save you some. Just a few clicks and voila, your document is signed. As easy as that! So what is a digital signature, then? In a narrow sense, it can be considered a subtype of e-signatures. In a broader sense, digital signature refers to the encryption technology used in different security, e-business, and e-commerce applications. They come under specific standards and a stringent verification process. To put it simply, a digital signature is like a digital fingerprint embedded into a document. The uniqueness of such digital fingerprints is guaranteed by special hashing algorithms. Still got any questions left as to what is what? Have a look at our article Electronic vs Digital signatures for further details. The answer is – for the most part, yes. Electronic signatures are legally binding in almost every industrialized nation. Here are the main historical milestones. Let’s consider European Union first. In 1999, the EU passed an electronic signature directive that member states used as the foundation for country-specific laws. The aforementioned eIDAS regulation was enacted in July 2016, creating a single, standard regulation for all 28 member states. As to the USA, the government passed the ESIGN Act, making e-signatures legal for practically all uses, in 2000. Our team has also conducted a research about the legality of e-signatures around the globe. Interested? Check out our article Snapshot by Countries: Are Electronic Signatures Legal? (Infographics). 3. Are electronic signatures secure? Here comes the biggest cause of anxiety, both for individuals and business owners. What about security? 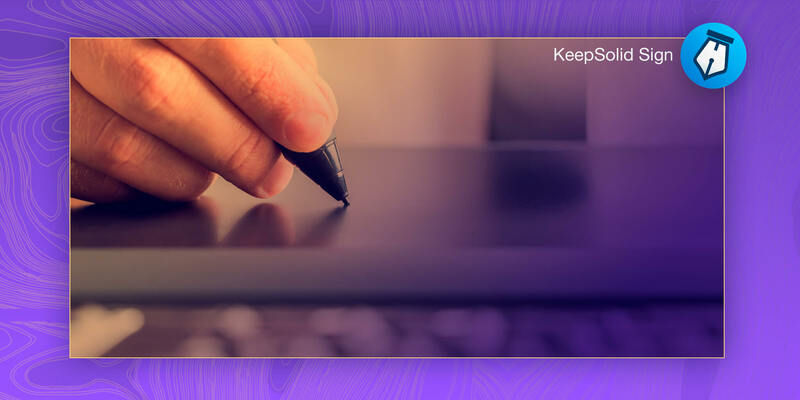 Well, as far as KeepSolid Sign is concerned, all user data is stored and transmitted in encrypted form. It is later decrypted strictly after authorization on another user’s device. Thus, no third party can get hold of it. What’s more, the encrypted user data is not stored in one place, but is distributed over several servers. This makes its full or even partial interpretation next to impossible. If you had any doubts about for e-signing, we hope that we’ve managed to push them away. Grab this opportunity to make your business more efficient and spare the time for bigger achievements! 3 things you should know about electronic signatures is the best article!. I had found the another article before, it was not interesting, but your blog has. It will help me so much for do my school homework. Thanks for sharing with me.